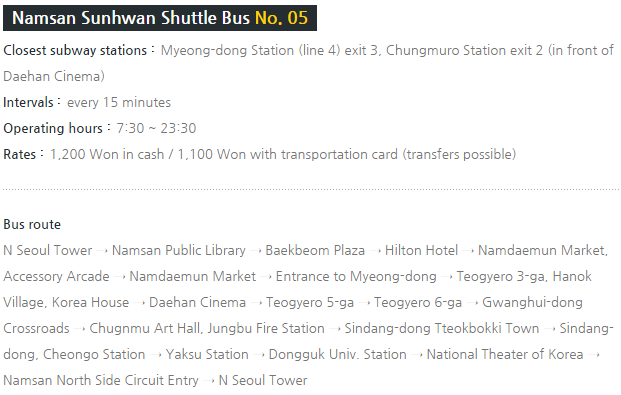 *Notice : Reservation and payment should be completed at least 3 days in advance. N Seoul Tower was the first tower-type tourism spot in Korea. 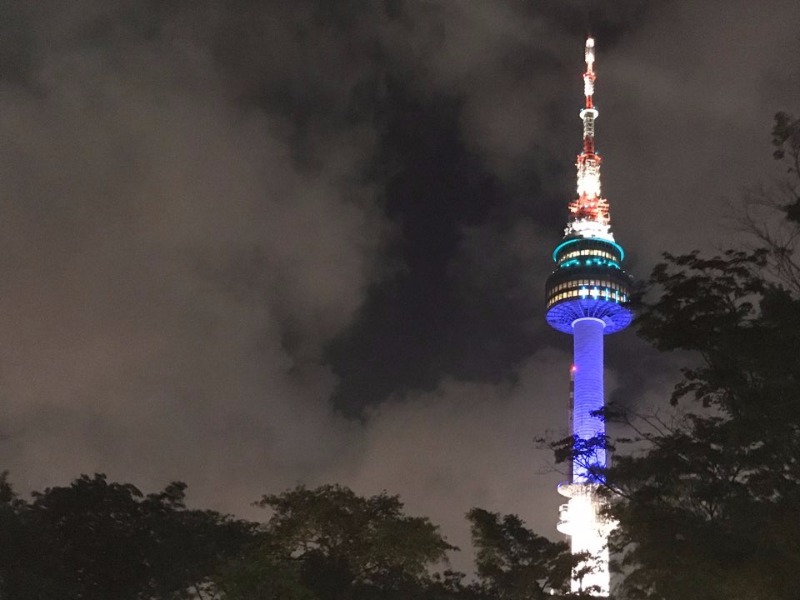 The top of the tower is at almost 480m above sea level, including Namsan Mountain (243m) and the tower’s own height (236.7m), making it one of the tallest towers in the Orient. 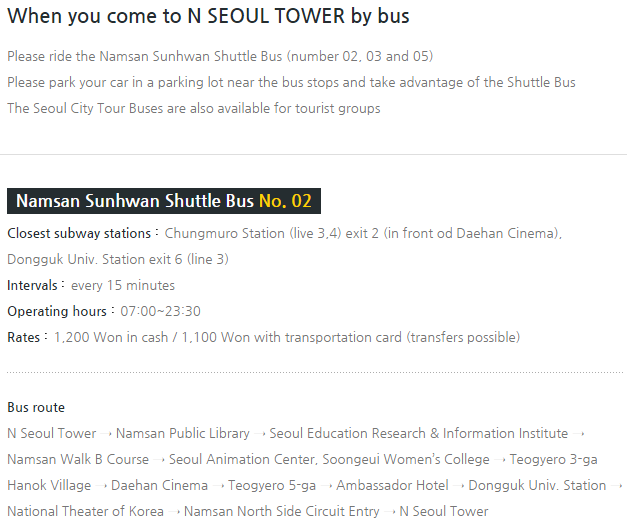 It is comprised of Seoul Tower Plaza, recently opened to public access after 40 years, and N Seoul Tower, operated by CJ Foodville since 2005. The tower was first established as a broadcast tower to send out TV and radio signals in 1969. 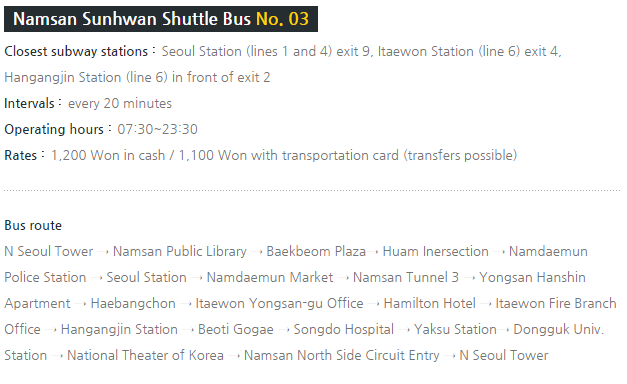 As of now, it has become one of the representative landmarks and multi-cultural venues in Seoul. * Operating hours are subject to change depending on weather or business schedules. One hour extended operating may occurs on the day before holidays and Friday and Saturday depending on situations. * Seniors (ages 65 or more): Children’s fare is applied. After you booking tickets on Baynaru, We will send you e-voucher. Please present this voucher at the Information Desk at N Plaza(5F) to receive the entrance ticket. This ticket is for access to the Observatory only. No refund. All sales are final. Really wanted to go there, but couldn't make it for the schedule.. Had no time so had to refund this tickets and manager of Baynaru was really kind... could get refund easily.. Even if I coulnd't go there, wanna make this reveiws for managers of Bayanru..!! it's at top of the mountain so plz don't walk to the top... there are lots of ways to get there easily. It was very crowded but view of Han river was great. Namsan Tower has nice view because you can see beautiful cities Seoul city on top of Namsan Tower. I prefer to go at night than noon, the reason why when you go at night you can see a beautiful lights.